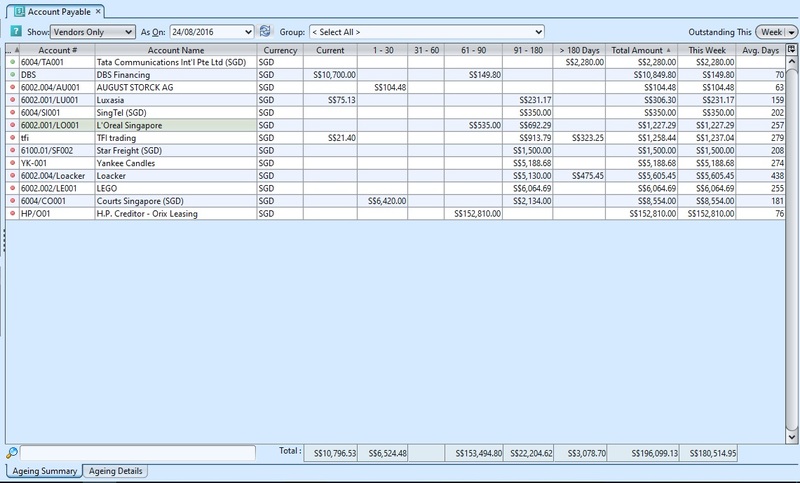 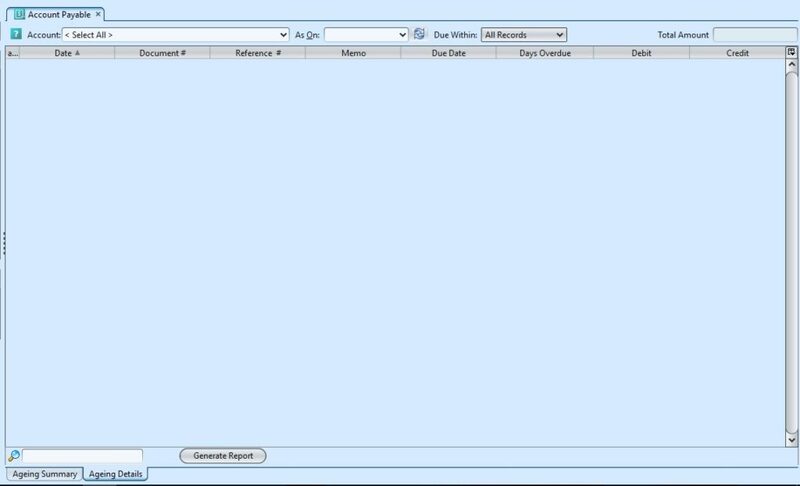 View and search for account payable summary and ageing details for selected vendors and employees. 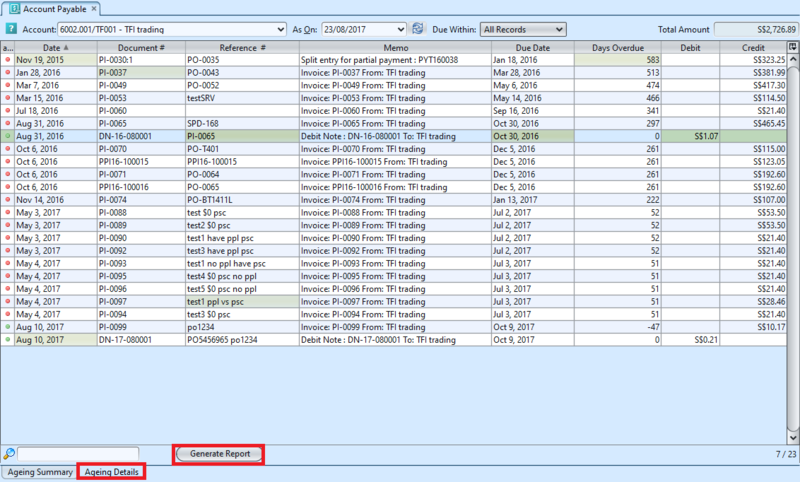 Create new Payment for the selected selected vendor or employee. 7. 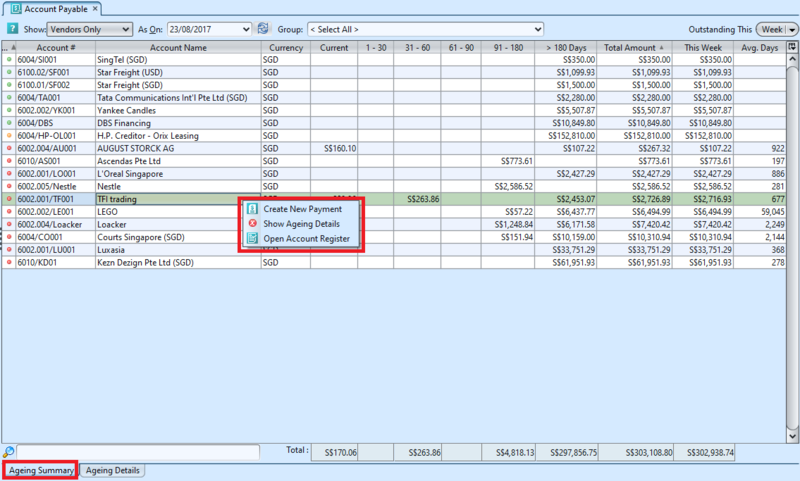 Right click a document entry from the “Ageing Details” tab table to open options available for the selected line: i.e. to see journal entries of of the document or to show the transaction document.